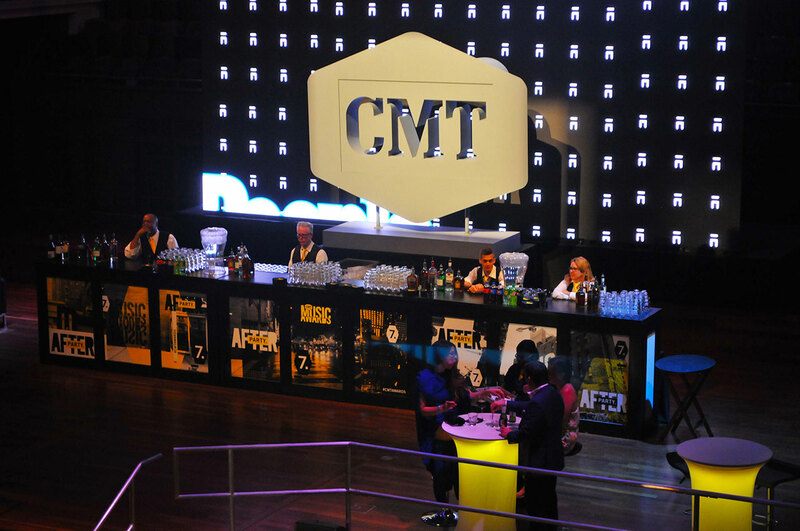 Originally created based on the CMT Belt Buckle logo, the 3D CMT Sign is a custom carved 3D logo used as event decor. 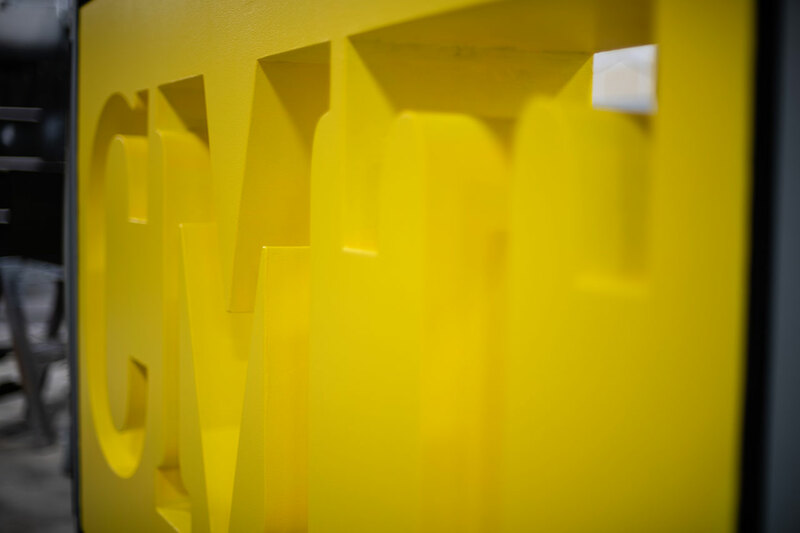 It has had many iterations. 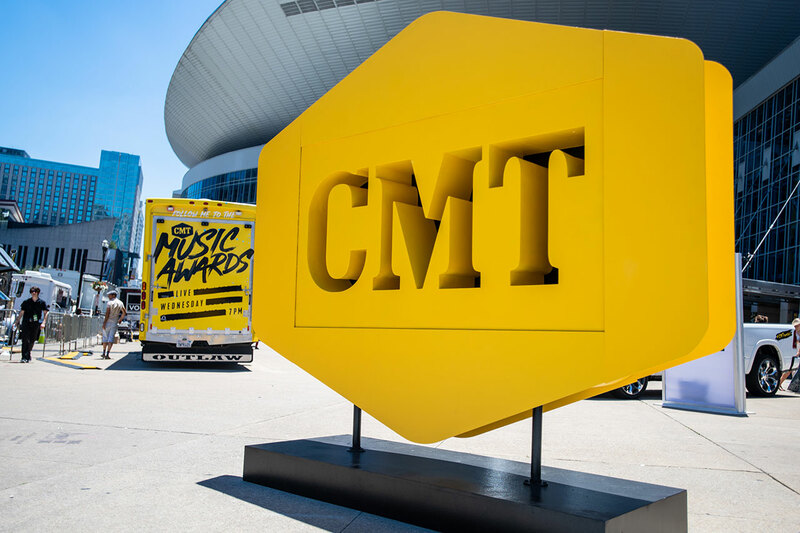 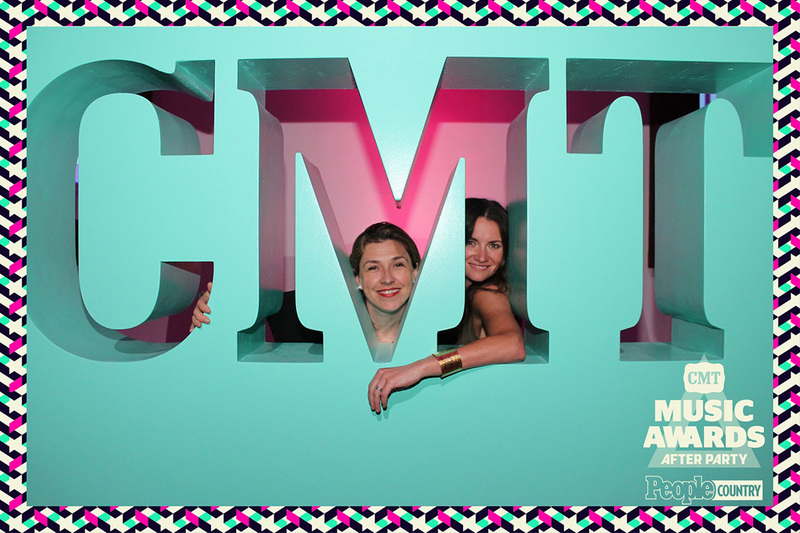 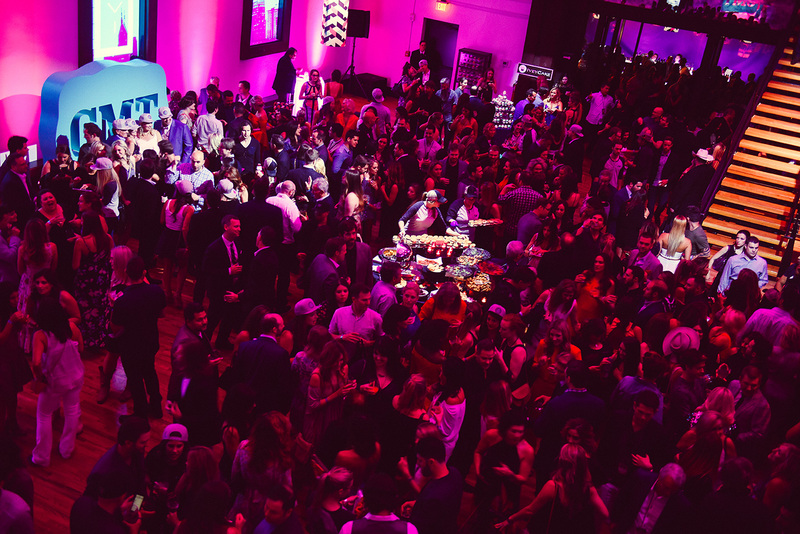 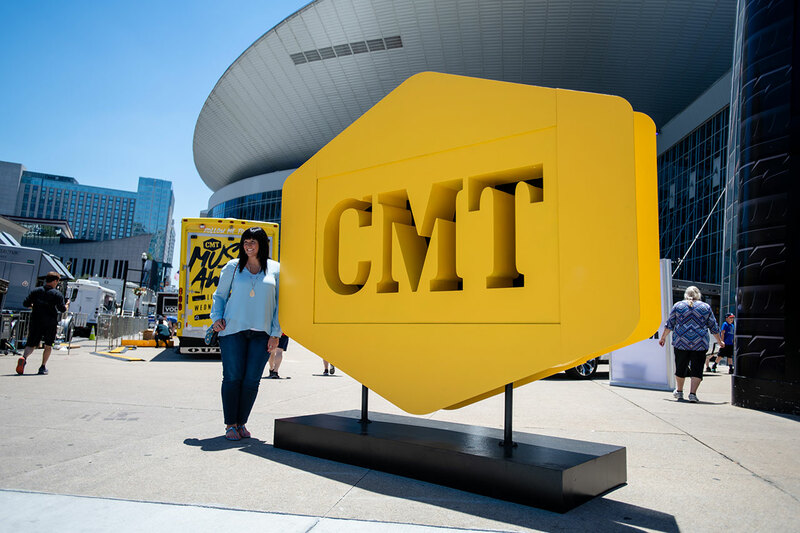 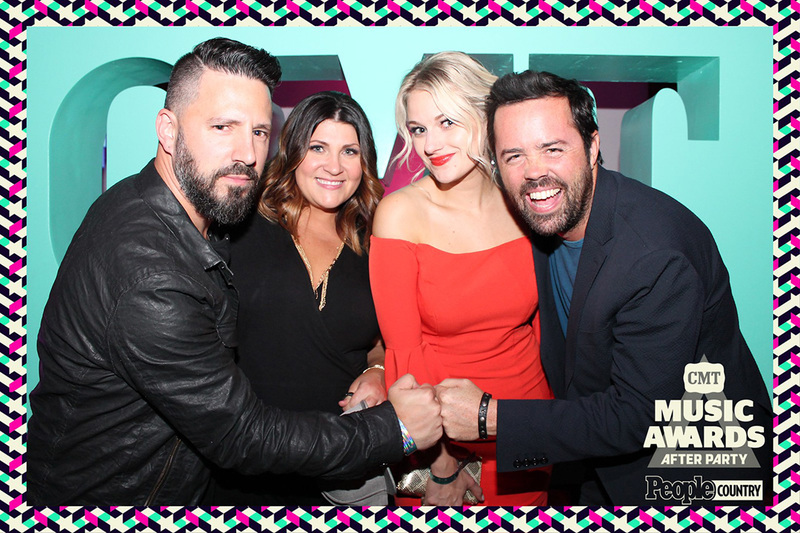 First seen at the 2014 CMT After Party during CMA Fest, the logo got a lot of attention as a unique and company-tailored photo op. 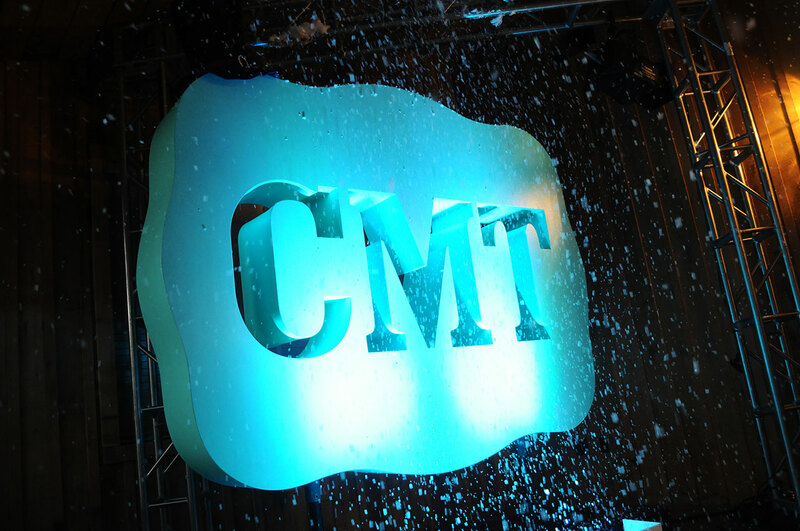 Soon after it made an appearance under a snow machine at a CMT end of the year party. 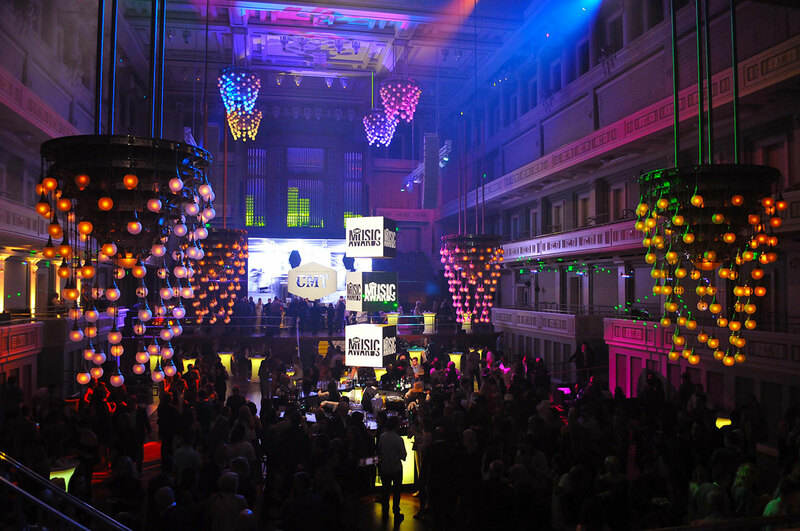 This was a Christmas/Willy Wonka Themed mashup complete with giant lollipops and other oversized holiday decor. 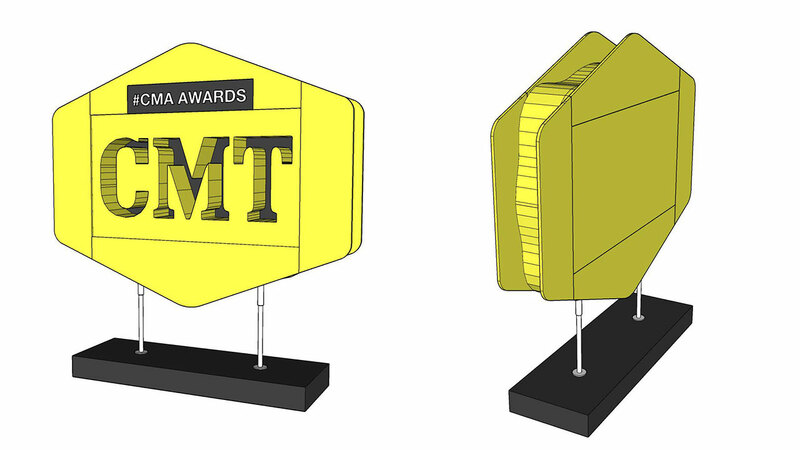 A year later the CMT 3D logo underwent a little plastic surgery to accommodate the new logo look. 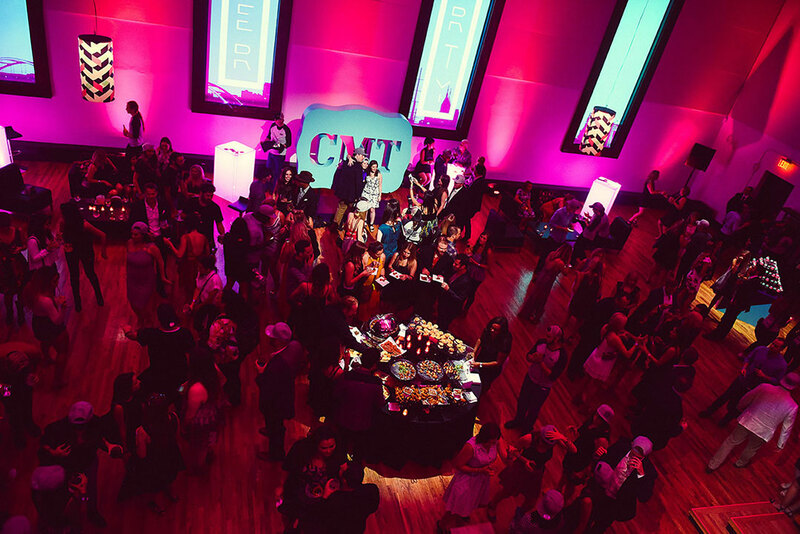 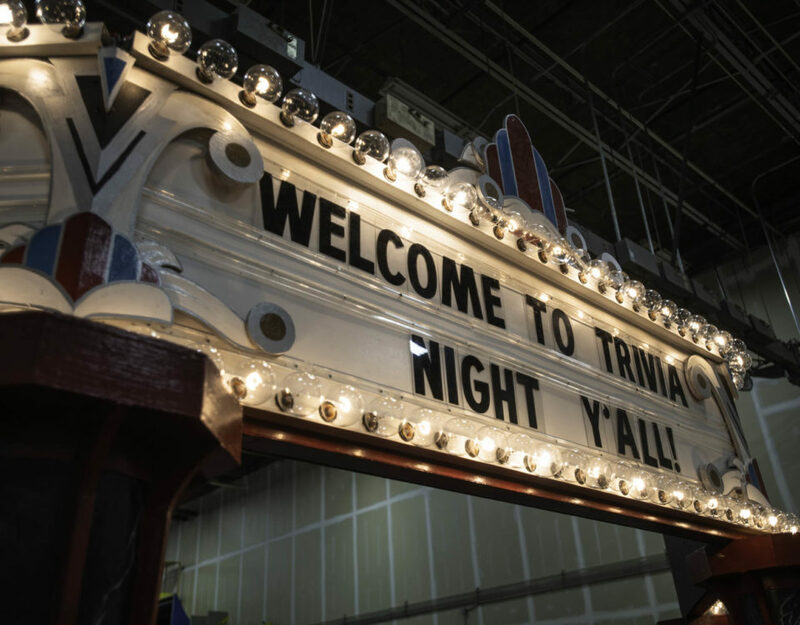 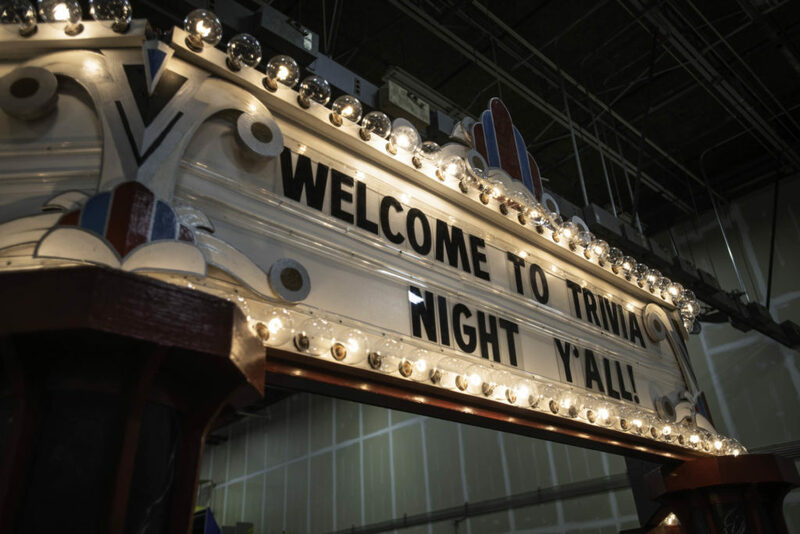 It was prominently displayed in front of a giant LED screen in the Schermerhorn Symphony Center as major music labels and country music artists mingled and danced at the 2017 CMT After Party. 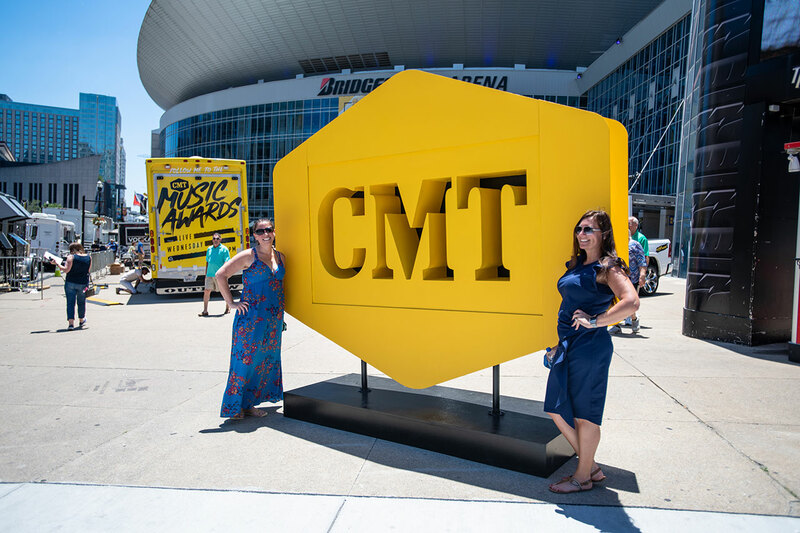 The well-traveled logo finally made its public debut right in the heart of the action at the 2018 CMA Fest. 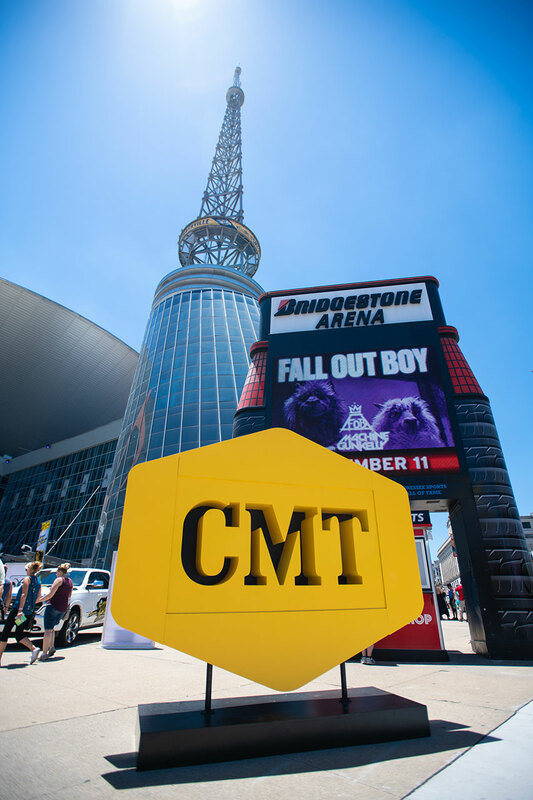 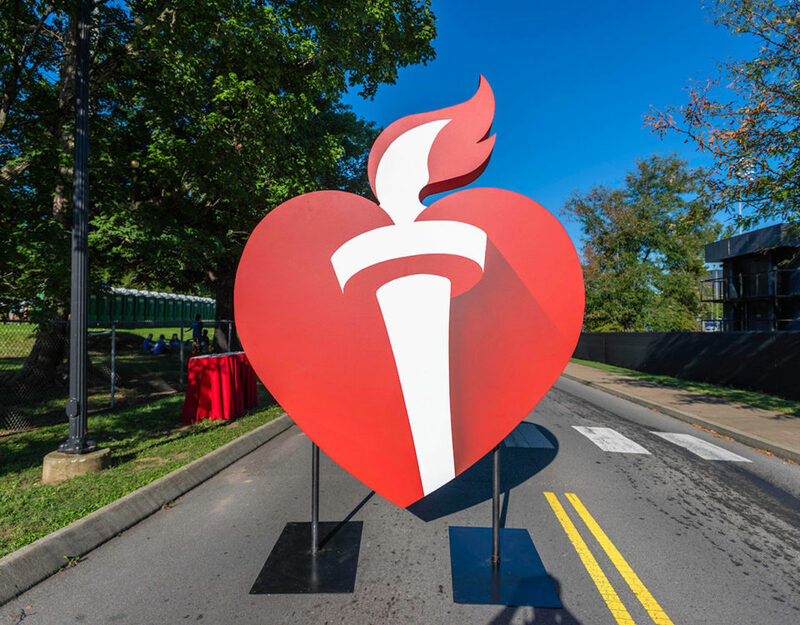 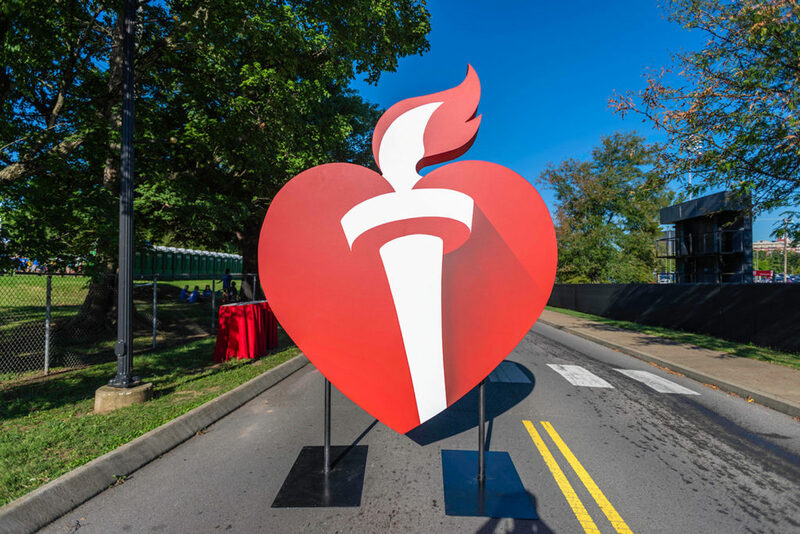 Sitting proud in front of the Bridgestone Arena, the logo got a lot of attention from the public as they stopped to pose in front of the giant logo and snap some selfies. 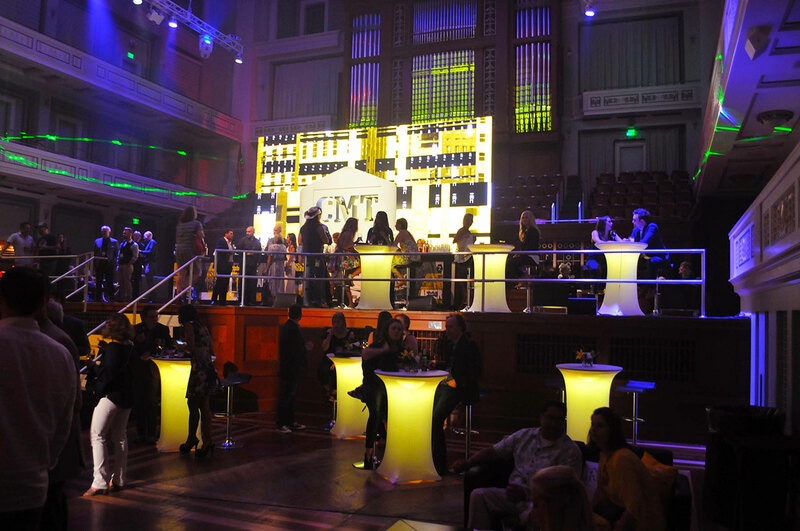 Gary Musick Productions has been creating event decor ever since the inception of Gary Musick Scenic, the Scenic and Decor wing of the Gary Musick company. 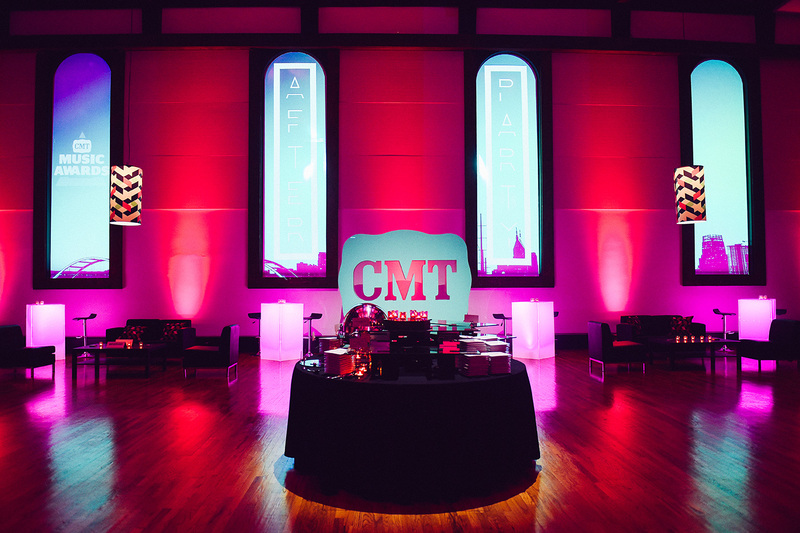 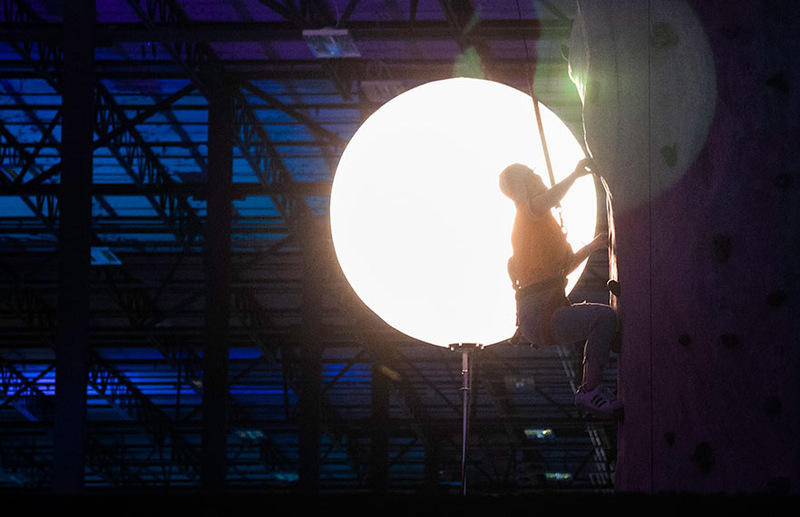 The CMT 3D logo is just one example of some examples of Gary Musick Scenic's ability for event decor.